Earlier this week, Japanese mobile phone maker Sony Mobile announced plans to bring to the market Firefox OS-based devices starting with the next year, and it has just made a new step towards the official launch, making available experimental Firefox OS software for Xperia E.
According to Sony, the release is meant to provide developers with a look at the new mobile operating system from Mozilla, so that the vendor would receive feedback on the matter. Built entirely upon open web standards, Firefox OS promises a new approach to the smartphone market, through the building of an open ecosystem. Sony has partnered with Telefonica for the launch of its Firefox OS, and is set to bring the power of the web to mobile through this partnership. “At Sony Mobile, we continue to evaluate innovative technologies that can help deliver the premium user experiences that Sony’s consumers expect,” Bob Ishida, deputy chief executive officer and head of Products Business Group at Sony Mobile Communications, says. “Our engineers are now working with Firefox OS Mobile and HTML5, evolving technologies which show great potential.” You can see how the platform runs on Xperia E in the video embedded below. 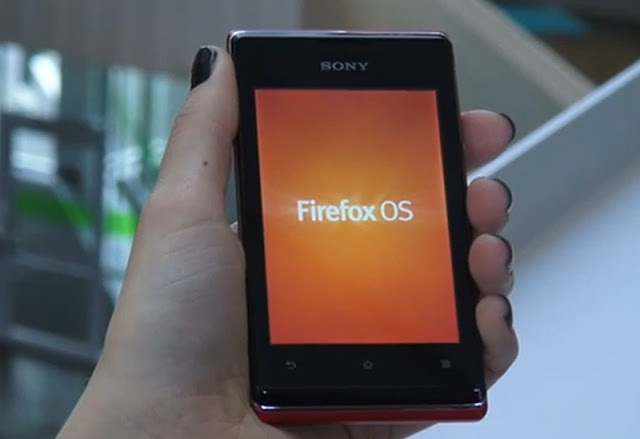 Sony is also set to offer support for those who would like to start developing applications for the new Firefox OS, and the release of the experimental Firefox OS ROM for the Xperia E is meant to prove that. “This software is not intended for daily use, and several important limitations apply,” Sony Mobile notes on a post on its developer blog. Those who would like to download and install the Firefox OS build on their Xperia E devices should know that they will need to unlock the smartphone, which will void warranty. “This software can be flashed on an Xperia E that has similar hardware specifications as the initial scope of the first version of Firefox OS and is therefore a natural candidate,” Sony also notes. For specific info on how to unlock the smartphone and flash Firefox OS on it, head over said article on Sony’s developer portal.